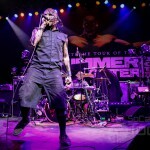 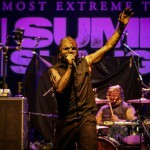 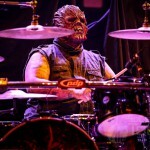 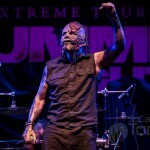 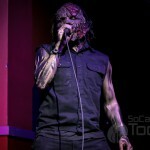 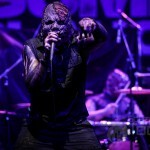 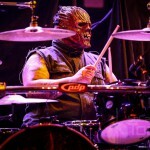 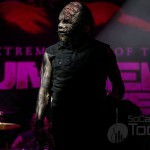 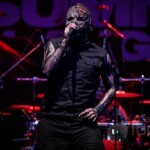 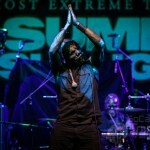 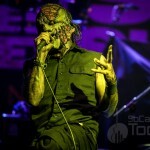 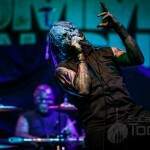 The masked extreme horror metal band Terror Universal have been out destroying cities on the annual Summer Slaughter tour since July 13 and are ready to wrap up the devastation on August 19 in Austin, TX. 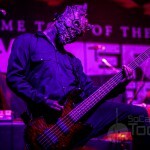 Out supporting their January 2018 full-length debut, Make Them Bleed, Terror Universal’s band members were originally kept secret only going by their stage names – Massacre (drums), Thrax (guitar), Plague (vocals) and Diabolus 2 (Bass) but we all know in this day and age with the internet and camera phones nothing stays secret for long. 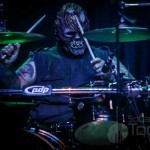 The band is actually Dave Chavarri (Ill Nino) on drums, Rob Cisneros on guitar, Wacy Jahn on vocals and Salvadore Dominguez on bass. 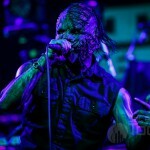 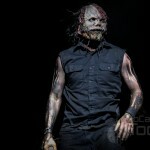 At first glance the band will remind you of Slipknot, Mushroomhead or even Lordi which is definitely a fair comparison but the music is a bit more in the vain of Nu-Metal in a very brutal way. 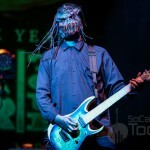 As the second band on the daily bill, the band has been playing early in the day but the crowd reactions have been very positive during the bands set. 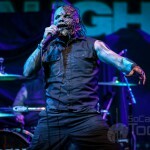 On this day in Anaheim they took the stage at 4:15pm and delivered a hard hitting 30-minute set that definitely got the blood flowing opening with “Welcome to Hell”. 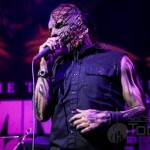 Thrax’s seven string guitars with a booming low end from Massacre and Diabolus 2 on drums and bass respectively along with Plague’s screams, raspy growls and clean singing make for a brutal, angry slaughter on your ears. 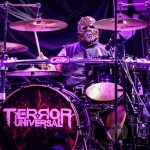 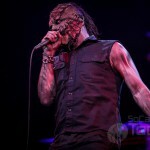 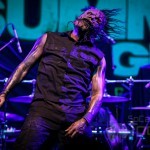 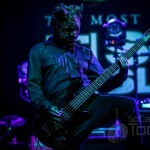 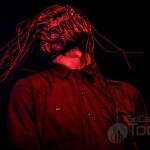 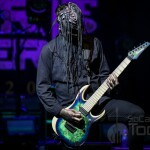 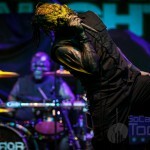 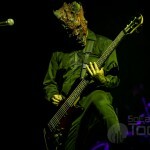 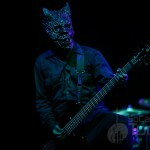 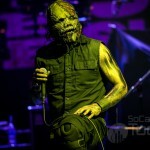 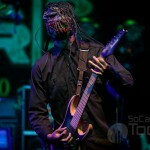 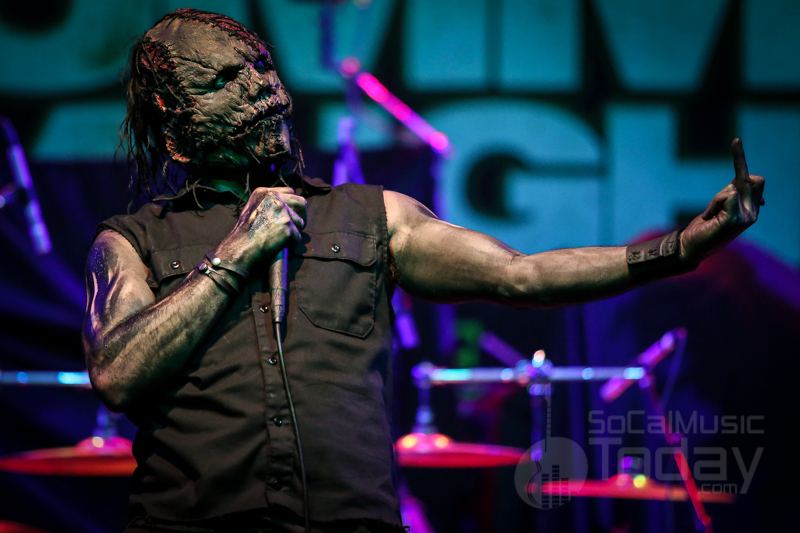 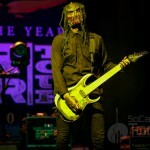 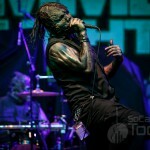 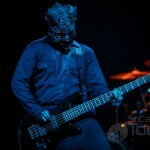 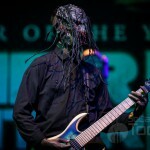 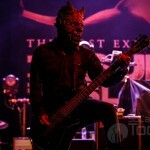 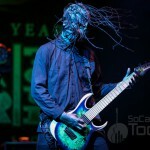 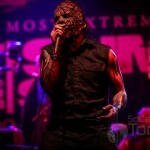 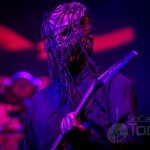 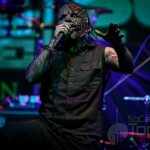 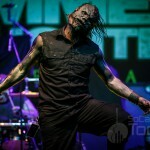 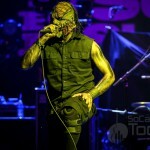 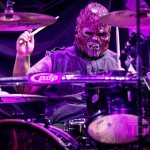 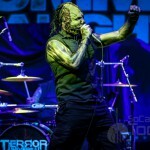 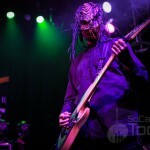 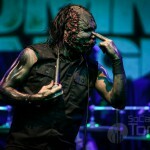 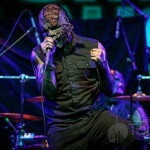 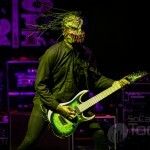 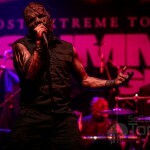 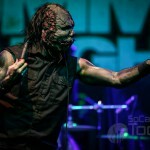 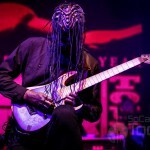 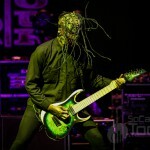 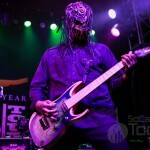 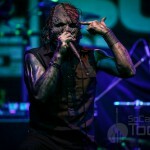 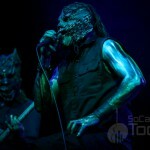 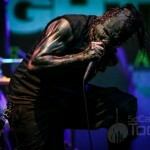 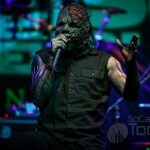 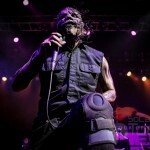 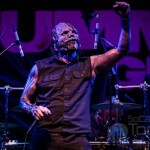 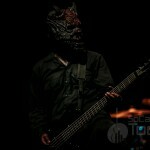 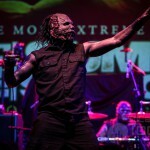 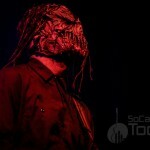 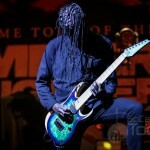 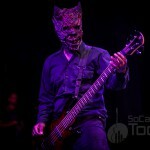 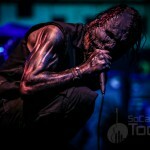 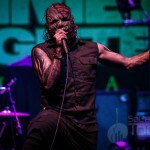 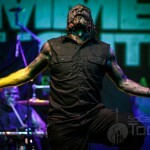 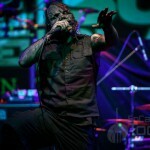 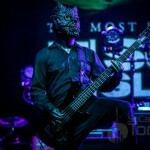 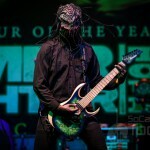 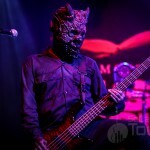 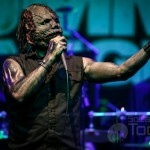 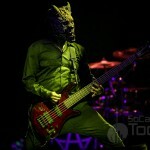 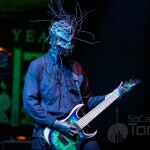 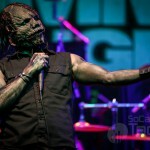 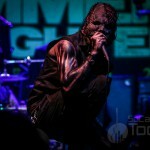 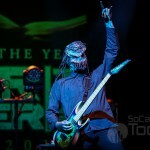 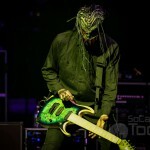 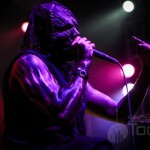 For additional Terror Universal coverage from their Summer Slaughter stop in Los Angeles at The Novo on 8/11 click here. 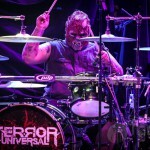 Terror Universal and Summer Slaughter only have three dates remaining so if you are in Dallas, Houston or Austin be sure to get your tickets and get there early to see Terror Universal.